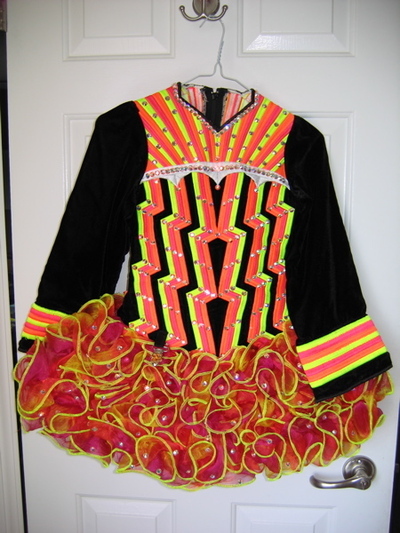 ORANGE GAVIN DOHERTY CHAMPIONSHIP SOLO DRESS. 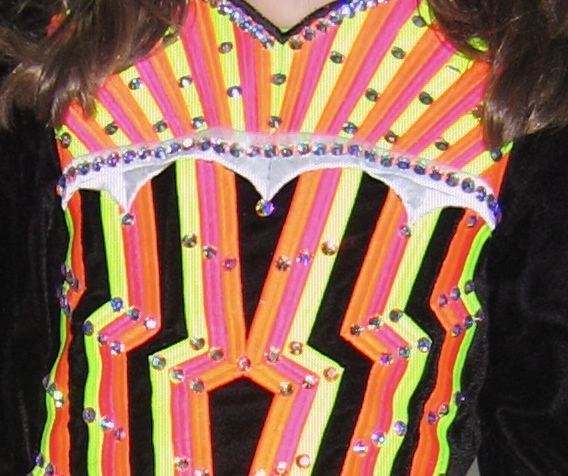 BLACK VELVET WITH LUMINOUS ORANGE, YELLOW, PINK AND WHITE EMBROIDERY. 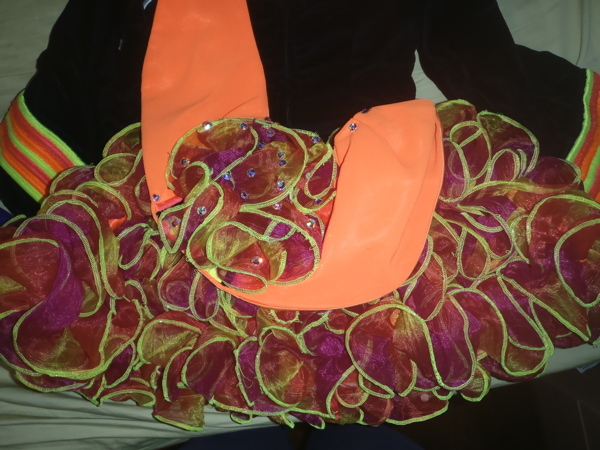 MULTI-COLORED RUFFLE SKIRT WITH ORANGE SATIN LINING AND HUNDREDS OF SWAROVSKI CRYSTALS. 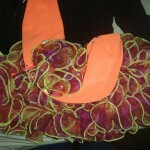 ORANGE CAPE WIH RUFFLE. HEADBAND, BLOOMERS, AND EXTRA CRYSTALS INCLUDED. NON-SMOKING HOME, LYING FLAT. Asking Price: $CAD850 OBO. Shipping costs are included for my own country, overseas shipping is extra.